1. What Kind of Lawn and Landscape Service Do I Want? Not all lawn and landscape services are the same. You want to choose one that can perform the services your lawn requires. That means you need to answer a few questions yourself before you start your search. How much of the yard will they be responsible for? What parts will I (if any) be responsible for? Do I currently have the materials and tools to care for any part of my lawn? Which parts? Do I have the time or talent to perform any lawn care tasks to my own personal satisfaction? Do I enjoy taking care of any part of my lawn? If so, which parts? Is there something special about my yard that may require extra attention? It’s important to find the right lawn and landscape service who can handle all your needs. 2. What Kinds of Services Does the Lawn and Landscape Service Offer? You’ve asked yourself some questions so you know what you need. But you’re not done asking questions. How Long Have You Been in Business? : You want a company that has been in business for awhile and has acquired a reputable reputation. What Types of Services Do You Offer? If they can’t provide you with everything you need, keep searching. Do You Have Specialists on Staff? You want to make sure they have a staff. Then you want to make sure they have someone who can help you if you need a tree removed from your property. 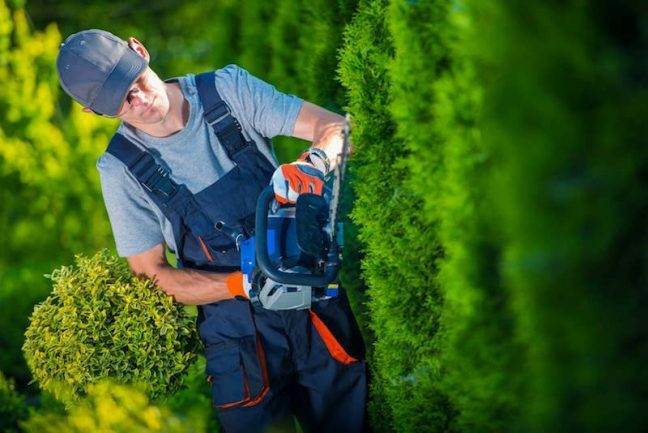 Look for a company who has horticulturists and arborists working for them. Do You Provide a Guarantee? Look for a company who offers a 2-5 year guarantee for their work. It’s also smart to ask about a separate warranty for plants. Are They Bonded & Insured? Make sure they have workman’s comp. You want to find a company who can afford to be insured fully in case anything goes wrong. What’s the Installation Process? Any company worth hiring will be happy to lay out a schedule and a plan for you to see. How will they build the project? It’s important to feel fully comfortable with the lawn and landscape service company you choose. Perth Gardening provides lawn and landscape services. Let us know what services you require and we’ll get back to you with more details. ← How to Check Your Plants and Soil for Nutrient Deficiencies?